Varanasi is one of the famous cities of Uttar Pradesh which is also known as “Spiritual Capital of India” or the “City of Temple”. It’s also known as Banaras or Kashi. It’s one of the religious and holiest cities of Hinduism, Jainism, and Buddhism. The city has many Ghats, Temples and Universities. Banaras Hindu University is the largest University in Asia with over 20,000 students. Varanasi is one of the biggest education hubs of the state with average literacy rate of 78.41%. It boasts countless study and education centers like Imania Arabic College, Sampurnanand Sanskrit University, Nav Sadhana Kala Kendra, and St. Joseph’s Convent School etc. The city has 3 Govt. ITI’s and 79 Private ITI’s. ITI’s or Industrial Training Institute is the post-secondary schools in country which provides technical and non-technical education to the students. Counseling Skills, Data Entry Operator, Network Technician, Medical Transcription etc. are few among 130 courses offered by these technical institutes. Duration of these courses is from 6 months to 2 years and age requirement is up to 14 years with mandatory qualification of matriculation. After completing ITI, students can go for Apprenticeship Training Program. During this Training Period, trainees are paid on monthly basis as well. 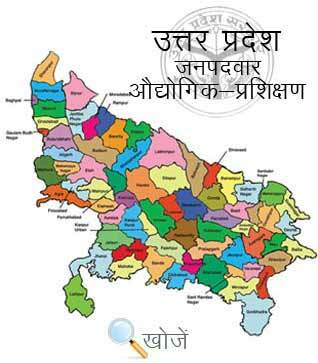 In the state of Uttar Pradesh, Vyavasayik Pareeksha Parishad (www.vppup.in) is responsible for conducting the entrance examination for admission. Students can also visit website www.upiti.in as well. It is a comprehensive database of information to the students regarding admission, important notifications, results, online downloading application forms etc. to save their valuable time.